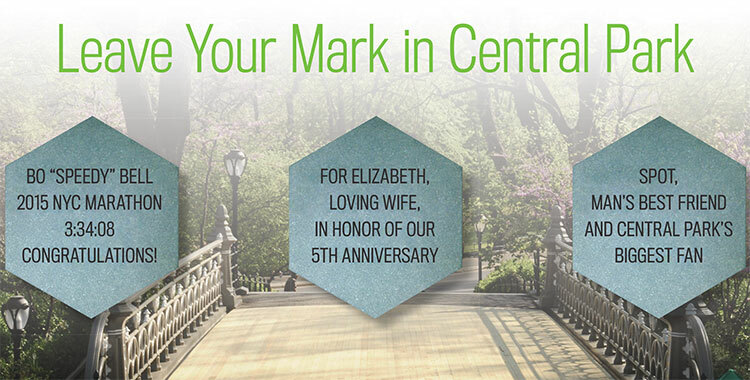 A paving stone on Gilder Run gives you the opportunity to leave a lasting mark in Central Park. Carve your name, tribute, or memory into these granite stones, and they will become part of the landscape in perpetuity. Normally $5,000, there are a limited number of stones available at a discounted rate of $3,500 now through the end of June. Show your appreciation for someone special! Gilder Run is located on the steps of Bridge No. 24 and connects the East Drive with the 1.58 mile Reservoir running track, offering stunning views of the New York City skyline. Your tax-deductible gift supports the Central Park Conservancy's mission to restore, manage, and enhance Central Park. Paving stones include a one year, complimentary Belvedere Knight Conservator membership. 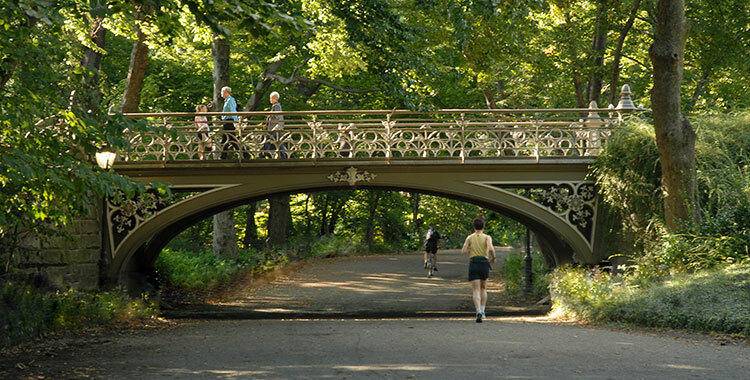 Gilder Run is named after Richard Gilder, whose love of Central Park led to the founding of the Central Park Conservancy in 1980, and whose generosity has contributed immensely to the Park's miraculous 35-year transformation. Mr. Gilder has been a runner of the Reservoir running track for 40 years and has served as a leader on the Conservancy's Board of Trustees since its inception.